Lectins have always been the source of intrigue for scientists, owing to their capability to halt a number of infections. Lectins are chemicals naturally occuring in plants. 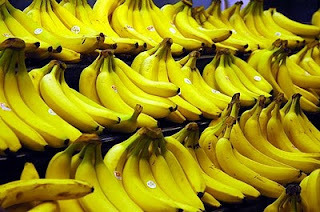 In a recent publication in the Journal of Biological Chemistry, it has been reported that BanLec, a lectin found in bananas is found to be as potent as a couple of current anti-HIV drugs. With the HIV researchers deperately working on ways to stop the spread of HIV infection, development of self-applied microbicides are promising, espcially in developing countries. Chemcial agents that block HIV before it gets integrated into host cells are widely studied and promising to prevent vaginal and rectal transmission. The findings of new research have demonstrated the complex actions of lectins to outsmart HIV. By binding to the sugar-rich HIV-1 envelope protein, the lectin in bananas block its entry into host cell. The BanLec is found to be similar in potency to the anti-HIV drugs currently in clinical use namely, T-20 and maraviroc. Lectins from banana would be cheaper to create and may provide a wider range of protection. Moreover, compared to other HIV drugs, lectins make it harder for the HIV to mutate and become resistant to, because lectins can bind to sugars found on different spots of HIV-1 envelope and which calls for multiple mutations for the virus to get around. The scientists are working on further to enhance the potential clinical utility of the lectins and believe that, in future, they could be used alone or with other anti-HIV drugs as microbicide to successfully fend off HIV infection.